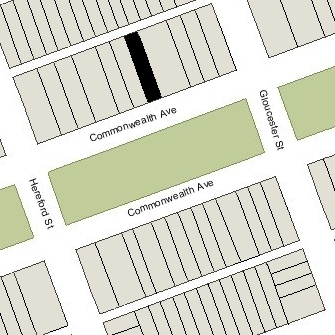 291 Commonwealth is located on the north side of Commonwealth, between Gloucester and Hereford, with 287 Commonwealth to the east and 293-295 Commonwealth to the west. 291 Commonwealth was designed by Allen and Kenway, architects, and built in 1884-1885 by David Connery & Co., masons and builders, and McNeil Brothers, carpenters, as the home of hide and leather dealer William Henry Allen and his wife, Adeline Amanda (Smith) Allen. He is shown as the owner on the original building permit application, dated May 2, 1884. Adeline Allen purchased the land for 291 Commonwealth on April 2, 1883, from real estate dealer Henry Whitwell. It was part of a 190 foot parcel running west from the corner of Commonwealth he had purchased on April 1, 1872, from a real estate investment trust formed by Grenville Temple Winthrop Braman, Henry Dwight Hyde, and Frank William Andrews. The parcel was part of one of four tracts of land purchased by the trust on March 1, 1872, from the Boston Water Power Company. Click here for an index to the deeds for 291 Commonwealth. By the 1885-1886 winter season, William and Adeline Allen had made 291 Commonwealth their home. They previously lived at 15 Chester Square. Adeline Allen’s sister, Eliza D. (Smith) Bartlett, the widow of John B. Bartlett, lived with them from about 1899 until her death in August of 1903. William Allen died in November of 1903. Adeline Allen continued to live at 291 Commonwealth until her death in June of 1911. In her will, she left 291 Commonwealth to their only child, William Lothrop Allen. He was a hide and leather dealer with his father; the firm was dissolved in 1908 and he retired. He and his wife, Margaret (Converse) Allen, lived in Chestnut Hill. He leased 291 Commonwealth to others. In 1912, 291 Commonwealth was the home of Henry Hornblower, a stock and bond broker, and his wife, Hattie Frances (Wood) Hornblower. They had lived in Arlington in 1911. By 1913, they had moved to 170 Beacon. 291 Commonwealth was not listed in the 1912-1915 Blue Books. 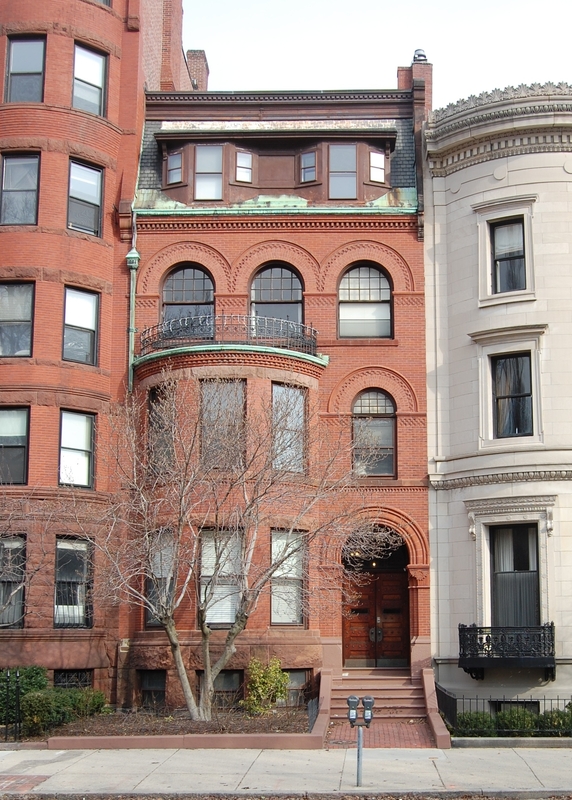 In 1915, William and Margaret Allen made 291 Commonwealth their Boston home. Their son, William Lothrop Allen, Jr., lived with them. He had graduated from Harvard in 1914. The Allens’ primary residence remained Chestnut Hill. By the 1915-1916 winter season, 291 Commonwealth was the home of George Robert Carter and his wife, Helen (Strong) Carter. He was a lawyer and former businessman from Honolulu; he served as Territorial Governor of Hawaii from 1903 to 1907. In January of 1920, at the time of the 1920 US Census, the Carters were living elsewhere and 291 Commonwealth was the home of Margaret (Converse) Allen’s brother and sister-in-law, Edmund Winchester Converse, a wholesale dry goods merchant, and Julia Ann (Pearson) Converse. Julia Converse’s mother, Margaret G. (Solis) Pearson, the widow of Andrew B. Pearson, lived with them. Their primary residence was in Newton, and by 1921 they were living there again. The Carters had resumed living at 291 Commonwealth by the 1920-1921 winter season, and continued to live there during the 1922-1923 season, but moved thereafter. During the 1923-1924 and 1924-1925 winter seasons, it was the home of Mrs. Benjamin F. Smith. In 1925, 291 Commonwealth was the home of John Kenneth Howard, a lawyer, and his wife, Ruth (Gaston) Howard. They previously had lived at 15 Brimmer. 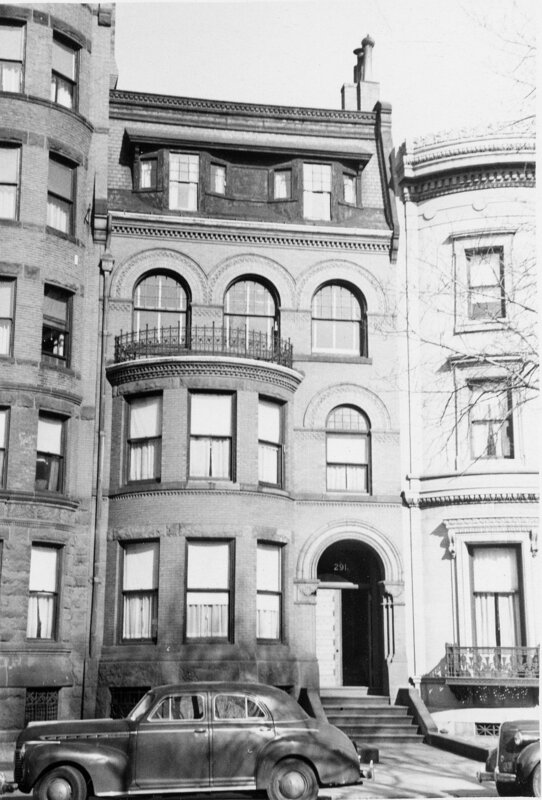 By 1926, they had moved to 177 Marlborough, which was owned by Ruth Howard’s father, William Alexander Gaston. By the 1925-1926 winter season, 291 Commonwealth was the home of Frederic Munroe Burnham, a stockbroker and trustee, and his wife, Rosamond (Eliot) Burnham. They had lived at 175 Marlborough during the previous season. They also maintained a home in Bolton, Massachusetts. They continued to live at 291 Commonwealth during the 1930-1931 season, but moved thereafter to 290 Marlborough. 291 Commonwealth was not listed in the 1932-1937 Blue Books and was shown as vacant in the 1932-1934 City Directories. On February 24, 1933, 291 Commonwealth was acquired from William L. Allen by the Massachusetts Hospital Life Insurance Company, which also held a mortgage on the property. On November 3, 1933, 291 Commonwealth was acquired from Massachusetts Hospital Life Insurance by Katherine T. Sullivan. In November of 1933, she applied for (and subsequently received) permission to convert the property from a single-family dwelling into eight apartments. On November 6, 1933, 291 Commonwealth was acquired from Katherine Sullivan by real estate dealer Joseph P. Brennan. The deed was not recorded until November of 1934, and on November 15, 1934, the property was acquired from him by Margaret M. Daley. On February 28, 1935, the Massachusetts Hospital Life Insurance Company foreclosed on the mortgage it held on 291 Commonwealth. It did not immediately sell the property, however, and Margaret Daley remained the assessed owner through 1939. On December 20, 1939, 291 Commonwealth was acquired from Massachusetts Hospital Life Insurance, as mortgagee in possession, by Rose (Rosa) (De Stefano) Ristuccia, the widow of Joseph Ristuccia. She lived in Somerville. In October of 1940, she applied for permission to legalize the occupancy of a basement apartment but subsequently abandoned the permit. Rose Ristuccia died in March of 1946 and 291 Commonwealth was inherited by her daughter, Rose (Ristuccia) Forde. She and her husband, Benjamin Forde, lived in Brookline. In December of 1954, Rose Forde applied for (and subsequently received) permission to remodel the interior and add one lodging unit, establishing the legal occupancy as eight apartments and one lodging unit. On July 20, 1961, 291 Commonwealth was acquired from Rose Forde by Louis Silverman and his wife, Bertha Silverman. They lived in Swampscott. On March 15, 1962, 291 Commonwealth was acquired from the Silvermans by Mrs. Josephine (Cuoco) D’Amore, former wife of Santo D’Amore. She lived at 509 Beacon. By 1966, Josephine D’Amore had moved to an apartment at 291 Commonwealth, and soon thereafter was joined there by her son-in-law and daughter, George Bongaards and Jean (D’Amore) Bongaards. They previously had lived at 8 Humphrey Place in Dorchester. He was employed by the Herald-Traveller newspaper. On May 17, 1978, Josephine D’Amore transferred the property to herself as trustee and beneficiary of the 291 Commonwealth Avenue Trust. At that time, she was a resident of Derry, New Hampshire. The trust provided that Josephine D’Amore was the sole trustee and beneficiary during her life, and that, upon her death, Jean Bongaards would become the sole trustee and the sole beneficiary. On May 30, 1979, transferred the property to Jean (D’Amore) Bongaards. The transfer was made without reference to the trust. Josephine D’Amore died in July of 1979. George and Jean Bongaards continued to live in an apartment at 291 Commonwealth. On July 19, 1996, Jean Bongaards transferred the property to herself as trustee of the 291 Commonwealth Avenue Trust for the purpose of clarifying the confusion created by her mother’s transfer of the property to her when it was already a part of the Trust. At the same time, she also amended the trust to appoint her sister, Nina (D’Amore) Nogueira Millen, wife of Robert Millen, as successor trustee and beneficary of the trust upon her death. Jean Bongaards died later that same month. On April 1, 1996, Nina Millen, as successor trustee, appointed her daughter, Stephanie Lisa Millen, as an additional trustee, and on July 30, 1998, they transferred the property to Stephanie Lisa Millen as trustee of the Nina A. Millen Nominee Trust 1998. The property remained an apartment house in 2017.